Performers from all over the world travel to Oklahoma for performances within the next week including musicians from Switzerland, a famous Cuban trumpeter, and a Broadway star from New York. 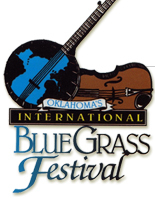 The 16th annual Oklahoma International Bluegrass Festival in Guthrie brings in acts from over 5,000 miles away. From October 4th through the 6th, acts like the Kruger Brothers and Beppe Gambetta from Switzerland and Italy perform on the main stage. Oklahoman Vince Gill headlines the festival Saturday night with a performance at 9:00 p.m. However, the downtown Guthrie area offers more than live entertainment this weekend. Instrument workshops provide an opportunity to see expertise on the guitar, mandolin, fiddle, and banjo. There are also song writing workshops and open mic sessions. Cimarron Opera comes to the University of Oklahoma with a special performance to celebrate the beginning of fall and Halloween on October 5th, 6th, and 7th, dubbed "Villains Weekend." During “Villains of the Opera,” professional singers and students from around the metro sing classic songs from operas such as “Carmen,” “Les Miserables,” and “Tales of Hoffman.” The “Wolves and Witches, A Not-Too-Scary Children's Matinee” is an interactive opera experience. Children can see villains from children’s stories like “Hansel and Gretel,” “The Three Little Pigs,” and “Little Red Riding Hood” perform on Saturday and Sunday afternoon as well as make a craft and trick-or-treat. Arturo Sandoval began playing music at age 13 in the early 1960s. He has been featured on records by Johnny Mathis, Frank Sinatra, Paul Anka, and many more. Sandoval’s life has even been made into a movie starring Andy Garcia, for which he wrote the score. He brings his Grammy-award winning talents on jazz trumpet to the Rose State College Performing Arts Theatre this Sunday at 7:30 p.m. At age 62, Sandoval continues to record and tour, and release an album titled “Dear Diz (Every Day I Think Of You)” this year. It is a collection of songs from his idol and mentor Dizzy Gillespie. The University of Central Oklahoma College of Fine Arts and Design puts on a production of Shakespeare’s “Henry V” for a limited run from October 4th through the 7th. “Talk of the Nation” host Neal Conan moderates a panel discussion on “Investing in Oklahoma” at the Devon Boathouse on Friday, October 5th. The event is open to the public, but reservations are required. Find more events on our calendar page.